Utah rider Jeremy Tidwell just joined Amplid’s Ambush team so we fired a few questions at him to get to know him better and find-out what makes him tick. Involved in grass-roots athlete development programs and a true master of pimping himself and his sponsors -out to the media, Amplid is stoked to have such a dedicated, proactive and enthusiastic shredder join the team. I’m just another dude from Utah who loves shredding. I wear a few different ‘hats’ each season within the snow industry that keep me well connected, but most of all … I love snowboarding. 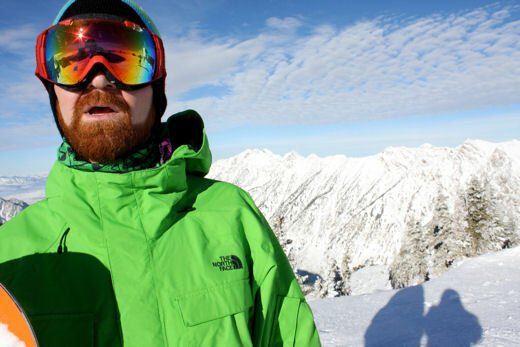 You’re more stoked on snowboarding than any person I’ve ever met, how is this possible? Ha! Thanks! I think that true stoke comes from having a true passion for something. I’m definitely passionate about riding. 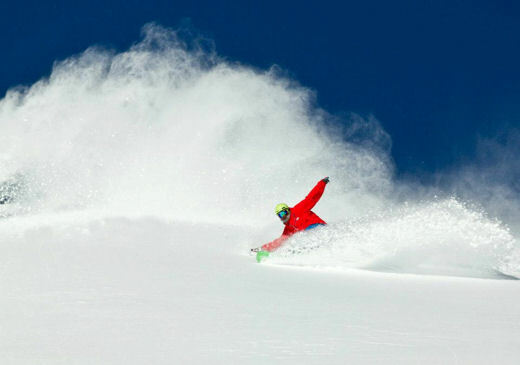 Being from the Wasatch Mountains in Utah, I’ve had WAY more powder days than most will ever see. Maybe that’s why I’m so stoked?! I dunno. What keeps you in the Rockies ? The Pow, the people, and family. Utah is my home. Where do you usually get your fix of the white stuff? I’m a Snowbird local for the past 10 years, so that’s Basecamp. Luckily, I get to do some traveling in the winter and always get a few days of riding each season at other world class resorts that the Western United States and Canada have to offer. Team Prospect is a grassroots level sponsorship program in Utah and Western Wyoming (Jackson Hole.) I’m the Team Manager for the Snowboarding side of the program. Nate Farrell and Gabe Schroder at Smith Optics help us tremendously as Smith is the title sponsor of the program. Spacecraft Collective is also huge in supporting our local pro-shredders of the future. We wanted to tie into the Prospecting Idaho Series and Theme that Smith has been marketing with. We came up with ‘Team Prospect’ for a name as a play on words. Our riders are literally future team rider prospects for Nate and Gabe to farm from as we deveolp riders within the brand. Which young local riders are on the cusp of becoming household names? Ozzy Henning is a kid that everyone will know about within the next year or two. The guy is an athletic freak and has style that is second to none. Watch out for John Rodosky, Jack Herald, Madison Blackley, and Stephanie Sue Feld as well…. they’re all so sick, that they’re dying. You’re a very proactive rider when it comes to putting yourself out there and getting your riding and the brands you represent seen by others. Has social media changed the rules? Absolutely. I’m still learning every day just how powerful it really is. In action sports, exposure is the name of the game. Part of what I try to do with Team Prospect as a TM, is simply lead by example. I ask these kids to seriously consider the situation at hand; They want to be professional athletes. They have the opportunity to springboard themselves into that position through their relationships, hard work, freaky talent and their ability to positively market themselves and the brands they represent. So, showing them that even an older guy who has never really been deemed “the sickest rider”, can actually do quite a bit to gain traction in the industry through positive and prideful self promotion… well… it’s kind of a “win-win situation”. Social Media has definitely made industry exposure something that almost anyone can actually jump-start for themselves. What aspect of snowboarding stokes you out the most? For me, growing as a rider, getting better each year has always been the most stimulating thing. The most growth my riding has seen, has come as a direct result of learning how to compete in big mountain events. I’m HUGE sports fan, always have been. Like most I played a bunch of different team and individual sports as a kid and in high school. I always loved stiff competition. When The North Face Masters of Snowboarding started 5 years ago, I watched the first event and remember thinking; “Damn… I want to do that!” I have been hooked on the series as a regular competitor on the tour ever since. You’re not too scared of big cliff drops, do you have any advice for young freeriders thinking about tackling their first lines and drops? I would say that I am braver than some, and less brave than others. My advice to younger riders would be to learn to follow your instincts and control your ego. Making good decisions in exposed terrain is paramount. I’ve been fortunate over the years and have maintained my health and avoided major injuries in snowboarding due to my cautious nature. I go by “a feeling”. If you’re not “feeling it”, there’s no reason to send it. If you’re energy is lined up with your line, and you feel confident and stoked about it, it’s probably going to not only work out for you on the safety side of things, but you’re probably going to be stomping the landing and shredding away ‘like a boss’! HA!! Confidence is key. The younger kids should google search Kenny Rogers and follow his famous lyrics: “You gotta know when to hold ‘em and know when to fold ‘em”. Have you caught the split-boarding bug yet? I have. However I have yet to get my first real split set-up, or shred any real lines on a split. I plan to do some ‘Amplid Slicing’ this season and build my first split as I continue to properly educate myself on the snow safety side of staying alive in the backcounty. I have a healthy respect for the mountains and am more focused on educating myself into a “comfort zone” state of mind and knowledge than I am on running out there and learning the hard way, just because all my buddies are experienced backcountry riders. I guess i just feel like since I have yet to really get bored at the bigger resorts as a whole, I have the rest of my life to explore the backcountry as I get older and older. I plan to take several different Advanced Avalanche Courses this season to further my eduction, as I begin this new and exciting chapter in my snowboard career. How did you become involved with Amplid? A shred buddy of mine, Tim Lewin recently opened a state-of-the-art tuning and repair shop at the bottom of the cottonwood canyons, he made it easy for me to get on a couple of the boards in the Amplid line last season, as his shop Twin Peaks is the only Authorized Dealer in the Salt Lake Valley. Also, John Rodosky has been really fun to ride and compete with over the last few years, he introduced me to Brandon Pastucka this season at Kirkwood, and well… Here I am. What Amplid shred are you riding this season and why? The UNW8. Why? “New for 2013: CAMBER!” The pop and flex of this one are what excite me the most. The Creamer and Paradigma are also going to be in my quiver, so I can use the right tool for the job from day to day. We hear you did a bit of riding with Amplid’s John Rodosky this winter. 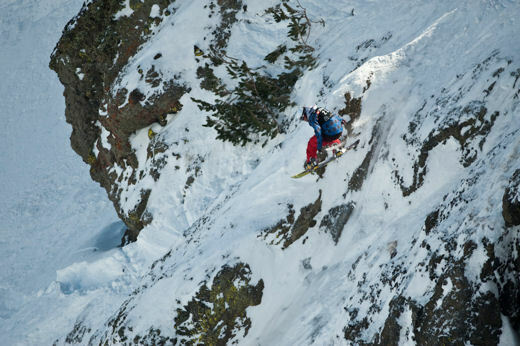 How do you think he’ll do this year as he competes in the new Freeride World Tour which includes the North Face Masters series and brings together even more world class riders? Rodosky is the strongest skinny-white kid I know. He made a habbit the last two years of getting on the podium in both The North Face Masters of Snowboarding and even the Freeride World Tour event in Revelstoke. He deserves the the opportunity to show his stuff with the best riders out there. He’s EARNED it. I personally think he has what it takes to do much better in the FWT this season in than even HE realizes. His ability to bring his own artistic and timeless style to super gnarly lines and chunks of expsosure continues to amaze me. He’ll be an underdog for sure this season, but I won’t be surprised at all if he just “Goes ‘Rodo’ on it”, and lands himself another big fake check to take home. The Judges can’t resist his giving him high scores, as he stays on his feet, rides faster than hell, and has one of the best methods of anyone on the planet. The Amplid Team has gathered in the States for a hypothetical road and you’re the tour guide. Which mountains and hills are we stopping at? Well, since you can catch a direct flight from Paris straight to Salt Lake City these days, the rendezvous would have to start on my home turf. Snowbird, Utah. Then I think the way to go would be to roll North up to Jackson Hole, Wyoming… followed by a long drive to the border and the Great White North. Revelstoke, BC isn’t in the states, but it’s one of the raddest resorts I have been lucky enough to go shred at. Then we would have to roll out to Mt. Baker, Washington. One of the United States best places to snowboard. If Amplid sent you an open airticket for a two week shred trip where would you fly and who would you take? I would want to go where every rider with a half a brain would want to go, Alaska. I don’t care where, Haines, Juneau, Girdwood, wherever. Just send me. As far as who with? Whomever is buying me the most heli-drops, that’s who’s coming with! What do you entertain yourself with when you’re not stood on a board? I really just like to be outdoors, and in the mountains. I love fly fishing for trout in high mountain lakes these days, my guilty pleasure is probably watching as many Utah Jazz NBA basketball games as I possibly can in the winter months. GO JAZZ!! My family and girlfriend tend to keep me pretty awesomely entertained as well! Thanks for the interview Jeremy, we’re stoked to have you on the team.